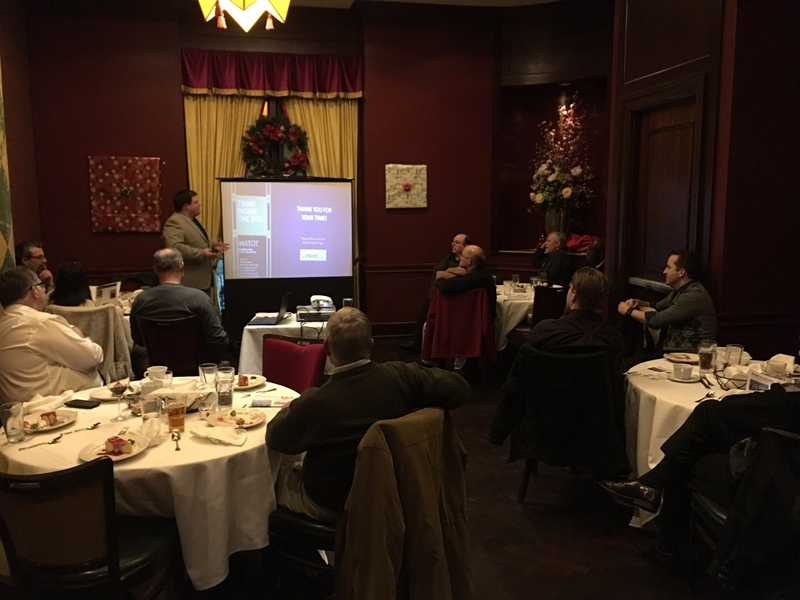 Thanks to everyone who came out for the meeting at The Clubhouse in Oakbrook on January 5th. Attendance was great for the first meeting of 2017, which made it a very enjoyable evening for all the members that attended. There was a presentation given by one of our oldest members, and a fresh new face making that presentation on their products was Jonathan Halcomb, from Matot of Bellwood Illinois. The topic was on their dumb waiters and material lifts. Jonathan’s insight on the product line, and the materials knowledge, was appreciated by all the members. Everyone left this meeting with a clearer understanding of how Matot is supplying the industry, and how they are looking towards the future growth of their products market. February’s meeting Hidral will be presenting on their product line of elevator equipment that they provide the industry. You don’t want to miss this presentation. Mark your calendars for the next meeting on February 2nd at The Clubhouse in Oakbrook.